The Penguins raced out to great start and downed their bitter rival on their home ice. Thomas Di Pauli scored twice in the first period, and Adam Johnson tacked on a power play goal in the middle frame. 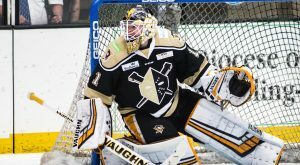 Wilkes-Barre/Scranton was stymied by a hot goaltender and handed its first shutout loss of the season. Despite generating great scoring chances all night long, Amerks goalie Scott Wedgewood stopped all 35 shots taken by the Pens. The Penguins came out swinging, scoring twice in the first three minutes of the game, including Anthony Angello’s team-leading eighth goal of the year. 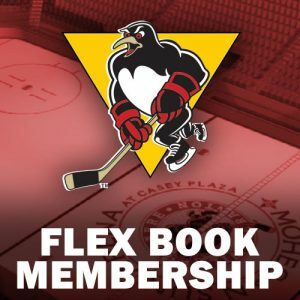 The defending Calder Cup Champs rattled off an impressive run of scoring before the Pens started a third period comeback that fell short. Wilkes-Barre/Scranton welcomes Cleveland to Mohegan Sun Arena at Casey Plaza for the first time since Feb. 11, 2009, when they were still known as the Lake Erie Monsters. 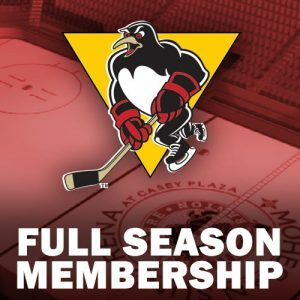 The Penguins are 2-0-0-0 against the Monsters this season. The Penguins and Sound Tigers meet on Pens’ home ice for the first time this season. 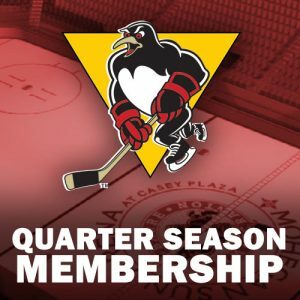 The Pens try to avenge a high-scoring, 8-5 defeat against Bridgeport in their only clash this year. The Penguins look to add another win at Giant Center in a 5:00 p.m. Sunday treat in Hershey. Wilkes-Barre/Scranton is 8-1-1-1 in its last 11 visits to Chocolatetown. – Thomas Di Pauli played in his 100th AHL game on Wednesday, Nov. 28 at Hershey and celebrated with the third two-goal game of his career. 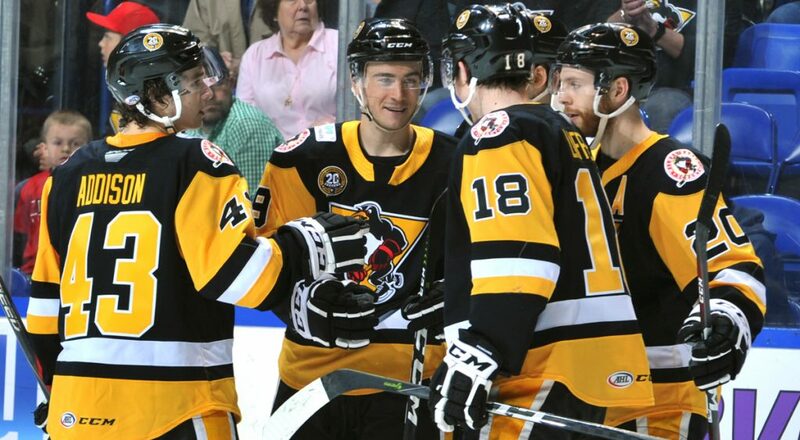 – In his return to Wilkes-Barre/Scranton, Jean-Sébastien Dea posted nine shots on goal on Friday, a season-high for any Penguins player. 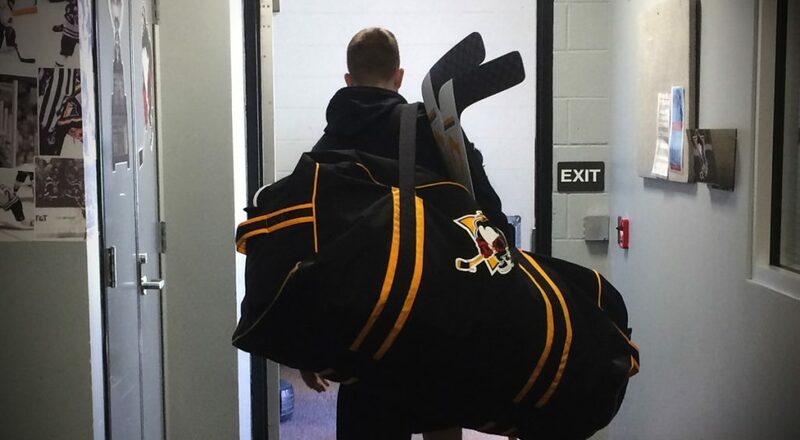 – Joseph Cramarossa’s next game will be his 300th as a pro. – Teddy Blueger has 10 points in his last 11 games (2G-8A) and has assumed sole possession of the team lead in points (16). 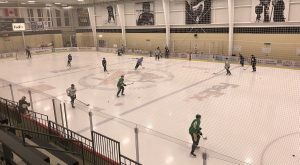 – The Penguins shutout loss on Friday was the first time they had been blanked since Mar. 3, 2018 at Rockford (42 games). Fri, Dec. 7 Cleveland Mohegan Sun Arena 7:05 p.m. 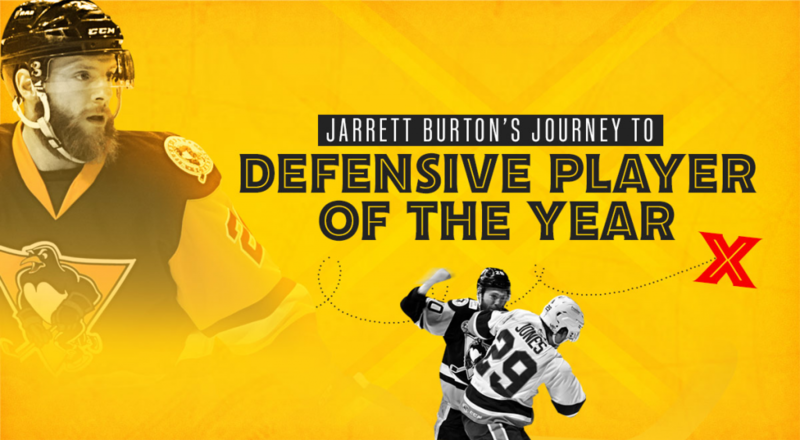 Sat, Dec. 8 Bridgeport Mohegan Sun Arena 3:05 p.m.
Sun, Dec. 9 Hershey Giant Center 5:00 p.m.